Carcinoid Syndrome is a group of symptoms in people with neuroendocrine tumors (NETs). 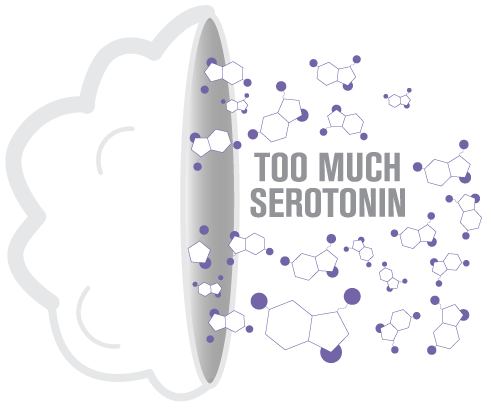 The symptoms are caused by too much serotonin in the gut. Some of the most common symptoms of Carcinoid Syndrome are diarrhea, facial flushing, and tissue fibrosis or heart valve damage. This can lead to carcinoid heart disease, which is a condition similar to heart failure in people with neuroendocrine tumors.